Yesterday I had the ooportunity to video chat on Facebook messenger with a brand new coach on our team. Tiggy Fig lives in the UK and has been a part of our challenge groups over the past couple of months. She is one of the strongest people that I know and always shows up for her workout but also for the challenge group and everyone else in the group. She is 6 months post-op and doing her workout after brain surgery. As we were talking I was sharing with her, “Who wouldn’t want you to be their coach?” She has been through many hard and scary things and will be able to help others know how to navigate the trials of life. “I started my journey with Beachbody as I was recovering from Brain surgery and had never exercised before. 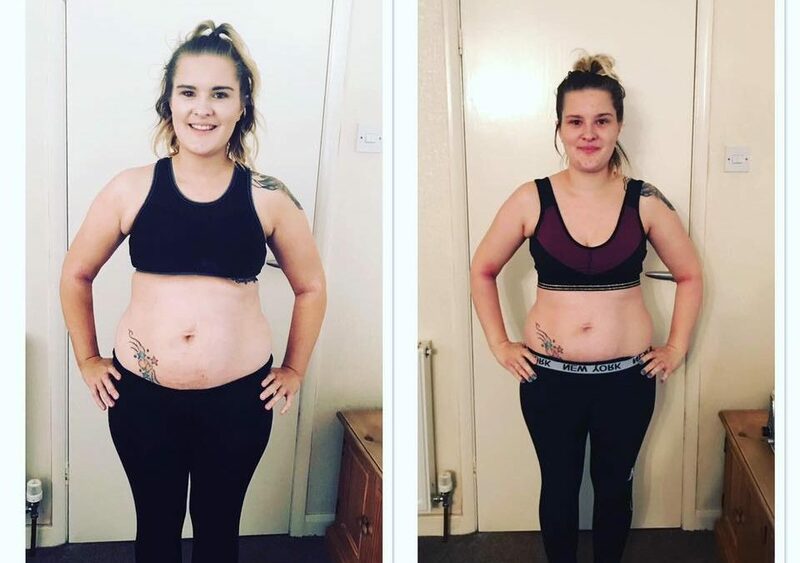 I was putting on a lot of weight through not being able to do things for myself for a while and being too tired to even walk to the shop.As I was recovering I saw how well my mum had transformed with the programme whilst looking after me and my two children she did incredible. She inspired me to start the journey of getting myself back into shape and to make sure I was healthy and happy for my children. I started in a test group for 4 weeks where I was able to gain knowledge of the workouts that I was doing. The proper food I was meant to be eating I worked hard. 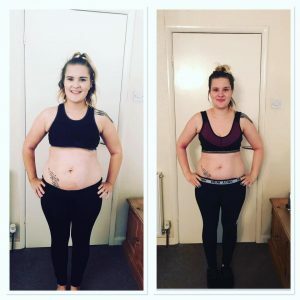 I completely changed my eating and I gained a healthier relationship with food… basically i was no longer eating 10 packets of crisps in one go and having multiple McDonalds a day ( I am now ashamed to say this is what I used to do) The workouts were tough but I loved challenging myself every day to push myself that little bit further. I was also drinking a dense nutrition shake everyday which I feel mixed with the exercise helped with the post op fatigue. Tiggy and I want YOU to start your journey. We also want you to know that if you have results with one of these Beachbody programs and workout, that we want YOU to join our team!